Steel Protector - 93" width - HD Mesh - 20' x 88"
The Steel Protector System is designed to be mounted against the cab shield so material will roll off into the box. 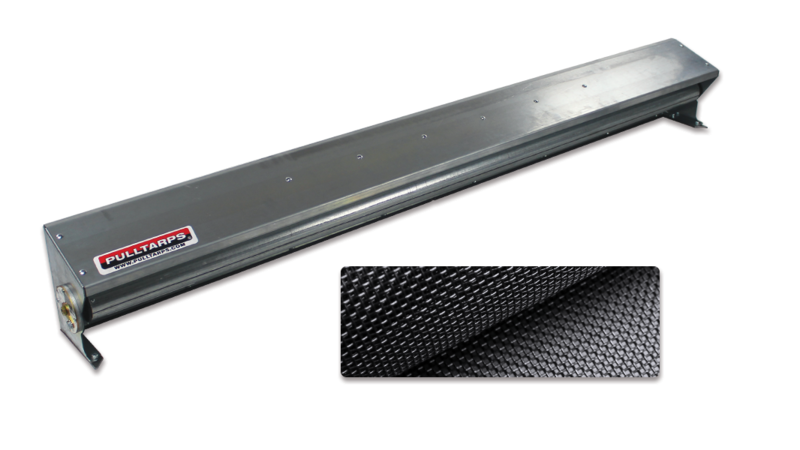 This system is great for shorter applications that require some protection from falling debris. SuperShield™ 9500E - 89" width - Enclosed 4-Spring - 18oz. Vinyl - 24' x 84"
Steel Protector +™ (Auto) - 93" width - Single Spring - HD Mesh - 34' x 88"
Open 9000E - 93" Width - Enclosed 4-Spring - HD Mesh - 24' x 88"